Russell Timber Technology is a leading UK manufacturer, supplier and installer of premium quality engineered timber windows and doors. We supply and install a wide range of precision engineered Timber doors and windows, Alu-clad windows and curtain walling. 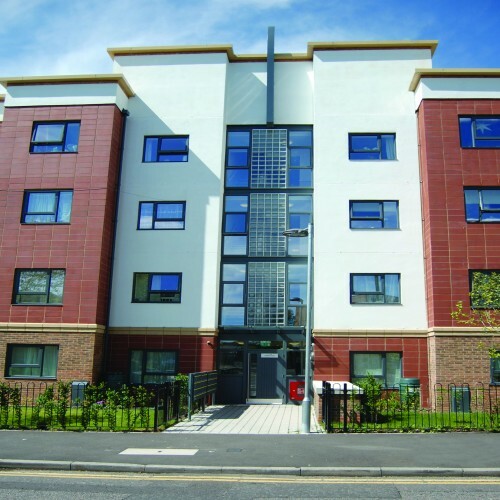 Our products are specified for large scale new build and refurbishment, private and public housing projects. They set the benchmark for energy efficiency, sustainability, durability, security, acoustic and fire performance. Russell Timber offers sustainable, fully certified timber windows and doors with a 35 years plus lifespan. All windows and doors in our range use timber from managed forests. We have been awarded Forest Stewardship Council® Certification (FSC®) and the Programme for the Endorsement of Forest Certification (PEFC™), as well as BM TRADA Forest Products Sustainability Certification. Certification, which is based on regular audits of our manufacturing processes and systems, assures specifiers of the complete traceability of our products through production and back to the managed forests they come from. In other words, the sustainable raw material timber we put in is the same sustainable timber as in the finished product - no materials are introduced or substituted in the manufacturing process. This is known as a Full Chain of Custody. Facilities Managers, Social Landlords and Contractors will also benefit from our unique Total Traceability Database for the ultimate in long term aftercare.